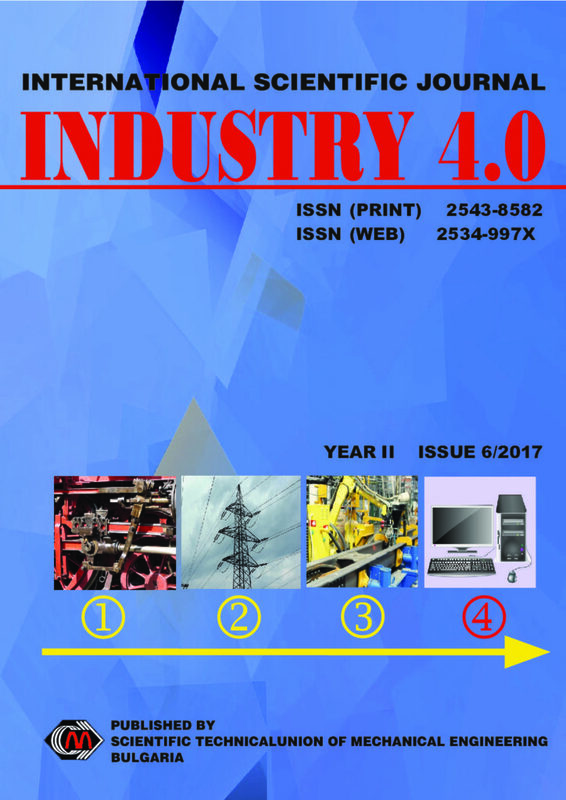 In order to achieve its goal in using intelligent adaptive and predictive technical systems with self-X functions and cognitive information processing in continuous interaction with environment, the Industry 4.0 initiative implies integration of Cyber-Physical Systems (CPS), the Internet of Things (IoT) and cloud computing leading to what is called "smart factory". This, in turn, faces the CPS with new challenges in terms of increasing the degree of distribution, autonomy, mobility, communication and security of the systems and their components, as well as expanding their functionality in the direction of data analytics, information and knowledge extraction, and increasing their intelligence. This paper discusses and analyses the CPS in the context of Industry 4.0 and the main trends in the development of process automation and control in order to suggest an appropriate and advanced agent based approach for development of CPS for process control. The proposed approach is based on using the following standards – from one side the IEC61499 Standard for agent specification and from other side the IEC62264 and IEC 61512 Standards for defining the different kind of agents in the control system. The presented approaches are illustrated with a partly presented example of development of Injector control system. Finally some conclusions are made. Complex production systems are increasingly using Industrial Ethernet for connecting MES, PLCs, Touch Control, and even sensors and actors within the industrial control network. While today’s production is still process driven under MES control, digitalization requires a data driven approach with cyber physical systems acting autonomously in a connected production world. Moving away from a centralized control architecture has the advantage of more flexibility but eliminates the implicit knowledge on global parameters such as the current condition or state of the overall machinery. This paper describes a methodology to retrieve these global parameters independently from any control system and fully transparent to the control network. A data sensor device is introduced that can listen to any Ethernet data traffic. Together with a specialized packet rules engine it is used to extract and combine information out of a raw Ethernet data stream to build up a virtual sensor device. A production state identification sensor is described as an example application of the virtual data sensor device. We consider some experience of computer simulation of within-year cycles of aquatic ecosystems, which has group of lecturers and scientists of St. Petersburg State University. The experience includes designing point, reservoir and spatially non-homogeneous simulation models of aquatic ecosystems functioning, and carrying out numerical experiments with the models. The models are applied for investigations in the sphere of ecology, nature protection and nature management. Main attention in the report is devoted up-to-date state of the simulation. In this work, we present the necessity of using the full mathematics in the industrial branch of machine building of the example of the foundry. Obtaining the necessary structures is accompanied by research work even in micro-foundries, which is provided by powerful and new software products, i.e. knowledge transfer with computational mathematics, physics and education. Until recently the Virtual Reality (VR) and its related technologies, e.g. Augmented Reality, Mixed Reality etc., were often thought of separately. However, in the Industry 4.0 model all they are observed as key elements and enablers. It is expected that the combination of VR related technologies with the advancements of Industry 4.0 will disrupt the traditional manufacturing, the existing business models and value creation chain and will reshape dramatically the industrial environment. According to White Paper of IDC considering the Digital Transformation in the Manufacturing industry published in 2016 a third of the industrial enterprises worldwide aims to use VR in their production and engineering environment in the upcoming five years aiming at applying VR for retail showcasing, customized products development, on-site assembly, engineering design, training, etc. Within this context, the so-called Head Mounted Displays (HMDs) represent a significant interest as promising end user devices that enable the wide penetration of VR into the engineering routines such as design activities, product configuration and validation. We make a brief overview of the common HMDs, their features and limitations. Further, a generic process for configuring the customizable product features using of HMD and its programming implementation are presented following by discussion of the results from the usability testing of the proposed interaction paradigm. Mechanical and electrometrical behavior of dissimilar welds between low Carbone steel (X70) and Carbone steel (42CrMo4), were studied using a combination of optical and electron microscopy. Thus, the influence of weld parameters on fusion zone and heat affected zone was investigated using two filler metals and two weld currents. The results of our work show that alternative TIG welding presents the butter combination between metallurgical and Mechanical comportment, also it was established in this study, that nickel alloy filler has the best electromecanical behavior for these types of welds. In the present work the distribution of ND in standard mixtures of natural rubber without the use of stearin acid was studied. Nanostructured materials have unique properties which completely differ from the initial solid state condition. In this presentation we will discuss different techniques to fabricate such materials, their physical and optical parameters and characteristics, possible application areas. Main attention will be paid to aluminum and silicon nanostructured layers which are the promising alternatives of transparent semiconductors or metals as well as electroluminescent light emitting media. In telecommunication, a convolutional code is a type of error-correcting code that generates parity symbols via the sliding application of a Boolean polynomial function to a data stream. A general convolutional encoder consists of a k*L-stage shift register and n modulo-2 adders, where L is the constraint length of the encoder. Convolutional codes are used to achieve reliable data transfer in numerous applications, such as digital video, radio, mobile communications and satellite communications. These codes are often implemented in concatenation with a hard-decision code, particularly Reed-Solomon codes. The material presented in the paper is used in the educational process in the University of Ruse. In order to better perception of the material active learning methods are applied. An individual assignment is given to each student and he/she has to solve the task during the practical exercise and present it at the end of the classes to the lecturer. The student should synthesize a convolutional encoder with NAND/XOR gates and flip-flops and to simulate its operation using Logisim, an educational tool for designing and simulating digital logic circuits. Paper presents an exhaust gas emission investigation for a high speed turbocharged direct injection diesel engine MAN D0826 LOH15 during the fuel and air mass flow variation. Emission analysis is based on a two measurement sets at two different engine rotational speeds (1500 rpm and 2400 rpm). The analyzed diesel engine operates with a standard diesel fuel. Measured emissions were nitrogen oxides (NOx), unburned hydrocarbons (HC) and soot emissions. Calculated emissions were carbon dioxide (CO2) emissions by using equations from the literature. For the observed diesel engine, much higher NOx and HC emissions were obtained at the lower engine rotational speed. Soot emission of the analyzed engine, in general, does not have to depend on engine rotational speed. Calculated CO2 emissions depend primarily on the fuel mass flow and the carbon mass fraction in used fuel. From the mid 70-es, when the microelectronic devices could be integrated into industrial product and production equipment, the cooperation among European countries entered into a new era. The author’s personal carrier has touched several areas of automation and networking technology aspects throughout this progress domain. Cooperation and international networking for industrial research and development has evolved along the development of ICT technologies that finally led to the advent of cyber-physical systems, IIoT and many related technologies as BigData, Cloud-computing, Analytics integrated with Artificial Intelligence, DeepLearning, remote and teleoperations, AR&VRetc. This paper gives selected samples form the vast initiatives presently accessible for those, who take up actions along the Industry4.0 global arena, as EU FPs, EUREKA, ManuFuture ETP,etc. Today’s business environment is highly dynamic, unstable, and characterised by many unpredictable challenges. This paper provides a review of the role of project management for improvement of performance, as well as for establishment and implementation of strategies for sustainable growth. Project management is considered as an effective approach for efficient planning, risk management, provision of informed decision-making about the company resources, monitoring, and measurement of performance results. On the basis of these advantages, the paper will also present practical recommendations for integration of project management at the levels of business strategy, structure, and processes. WHAT DOES INDUSTRY 4.0 MEAN FOR SUSTAINABLE DEVELOPMENT? The formation and development of the concept "Industry 4: 0" is associated with significant changes in the structure and characteristics of human resources. It concerns the problems of the new structure of employment, the transformation of the educational system, the deepening of regional disparities. At the same time, the actions developed within the concept, including various programs, don’t pay due attention to possible social risks and measures to reduce them. Nowadays the world is surviving the fourth industrial revolution named Industry 4.0, which combines physical world of real things with their “virtual twins”. The man with his intellect, creativity and will lies beyond this ideology. Now the image of a new paradigm of Industry 5.0 could be seen. It involves the penetration of Artificial Intelligence in man’s common life, their “cooperation” with the aim of enhancing the man capacity and the return of the man at the “Centre of the Universe”. The paper outlines modern technologies – from IoT up to emergent intelligence, being developed in organizations where authors work. The convergence of these technologies, according to our minds, will provide the transformation from Industry 4.0 to Industry 5.0. The main features of the radiation environment in the surrounding environment are presented. Over the last 5 years no values other than the natural ones have been observed, with the lowest values in Veliko Tarnovo. The main characteristics of the radiation in operation in nuclear power plants and the major accidents resulting from the operation of the NPP in the development of humanity are shown. Radiation as a result of the uranium mining and uranium processing industry in Bulgaria is also under consideration. It also shows the actions of radiation as a result of other people’s activities.